If you're an aspiring TV writer who wants to learn about how to build your writing career, our afternoon of TV panels is for you! 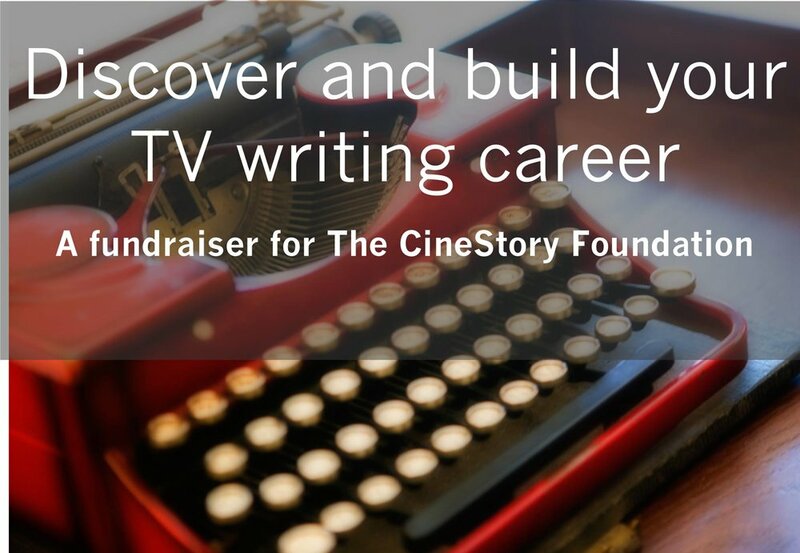 A fundraiser for The CineStory Foundation, the event is on Saturday, September 8th from 1 pm - 4:30 pm. The first panel, "BUILDING A SHOW FROM THE GROUND UP" (1 pm - 2:30 pm), is a frank discussion with experienced TV show creators and showrunners about the ins and outs of building a TV series from a bud of an idea into a fullblown series. Panelists include showrunners and creators Mark Fergus (THE EXPANSE), Javi Grillo-Marxuach (THE MIDDLEMAN), Sarah Shapiro (UnREAL), and Joey Slamon (I’M SORRY). The next panel, "BUILDING YOUR CAREER FROM THE GROUND UP" (3 pm - 4:30 pm), takes a close look at how to go about putting together a career as a TV writer from the ground up. Panelists include TV writers Cindy Appel (SUPERIOR DONUTS), Greg Bonsignore (SIDE BY SIDE), Elle McLeland (TRANSPARENT), Sean Presant (INSTANT MOM), and Ian Williams (ELECTION NIGHT). The event is being held at Club Cobra (10937 Burbank Boulevard, Los Angeles, 91601). Parking is limited, so we encourage you to rideshare. Tickets are available on EventBrite. Pay the Early Bird price of only $50 per ticket until September 1st. After September 1st, tickets cost $60 each. Click here to purchase tickets. We look forward to seeing you!